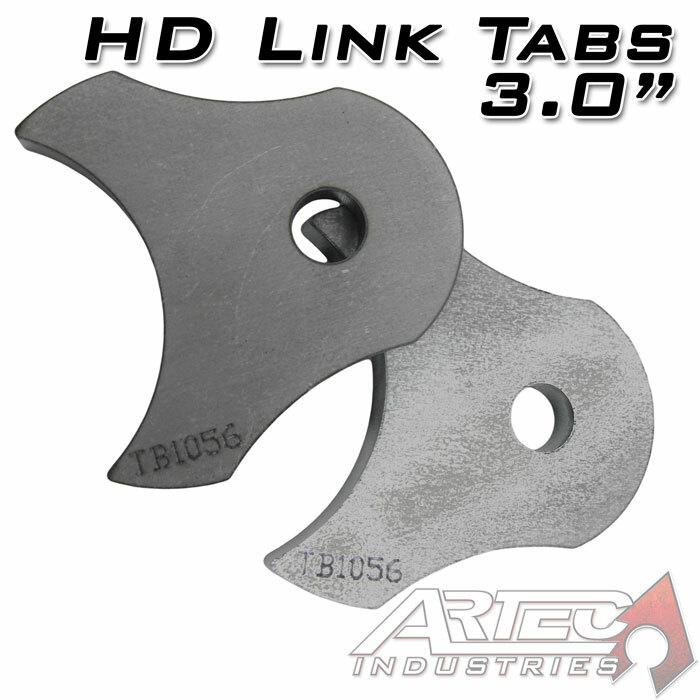 Home > SUSPENSION > Brackets - Tabs - Gussets > Tabs > HD Link Tabs (pair) 3.0"
Do you need a link mounting solution but can't use our boxed Lower Axle Link Brackets? 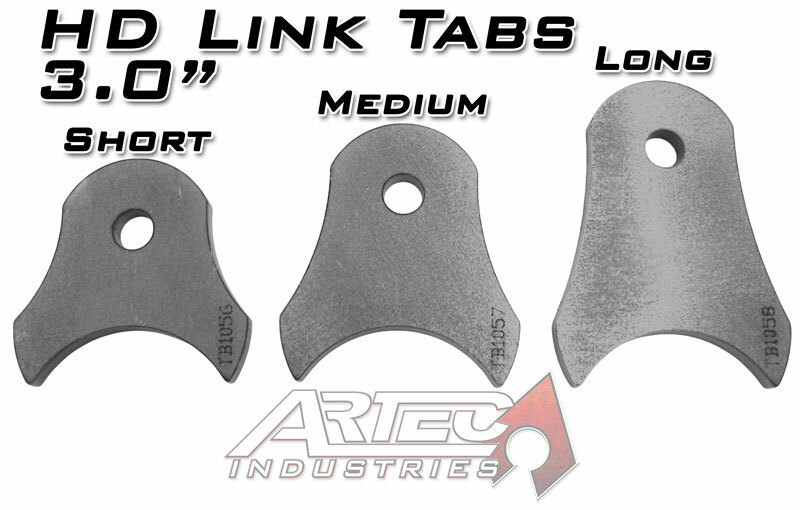 These Heavy Duty Link Tabs are a great low cost option and with different lengths you can customize the angle that you mount your links. 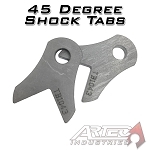 CNC Laser cut from 3/8" steel for heavy duty strength. 9/16" hole size and easily drilled out to larger sizes up to 3/4"
NOTE: For 2.625" large joints (ie 1.25" Heims, Johnny Joints, etc) DO NOT USE TWO SHORT TABS. 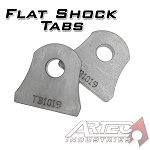 Only use two short tabs together for 7/8" rod ends or smaller. For large joints needing 0 degree angle, USE TWO MEDIUM TABS. These tabs were massive and just what I needed to finish the rear ended I was installing. The tabs were perfectly cut and looked perfect once installed. Step 4: Mock up link and tab into place to ensure proper fitment some grinding or modification may be required to get proper fitment .